Jasmine Mistry is still reeling over her recent divorce when her aunt invites her to come and watch her bookshop on Shelter Island for awhile. Jasmine, who has always had a soft spot for her auntie agrees. When she arrives, however, she's alarmed by how odd her aunt's bookshop is. It's dusty, cluttered, and filled with old books. She's worried there's no real way it can compete and survive. She hopes to make changes. But the bookstore seems to have a mind of it's own and thwarts her attempts at change. Jasmine soon comes to realize that the bookstore is indeed enchanted and just might hold the key to her own healing and future. Haunting Jasmine is completely charming, not only as a story of a woman coming to realize her own worth, but as a love letter to books and bookstores. A bookstore is a place that is alive, and books have the means to deliver relevant messages to our lives today. Additionally, the right bookseller can find the right book for the right customer. And the right book? Can change your life. 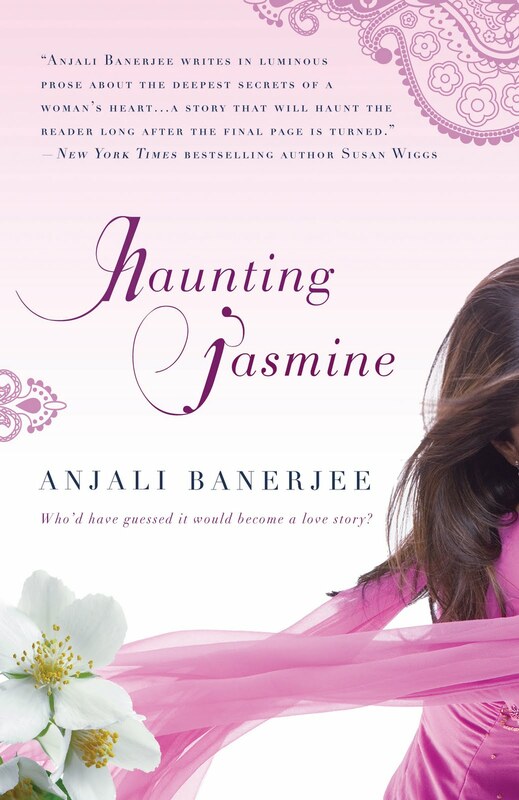 Banerjee's style is breezy and humorous, without glossing over the real pain Jasmine is in. Jasmine's journey feels authentic as she struggles with the loss of one way of life and the hope to move on to something else. While not a complicated read, it's a very fun and worthwhile one. *Read Anjali Banerjee's guest post and enter to win a copy of the book! *This book has been on my radar for a long time. I was thrilled when I got the pitch!